Ransom Riggs’ “Hollow City” – but January won’t be here in forever! I’m having a tiny freak out right now. I’m just sitting here in class, deciding my Twitter feed is more important than learning about misplaced modifiers, when I stumble on the best piece of news I’ve had all week: Ransom Riggs has a new book coming out next year! And it’s a sequel! To one of my favourites! Due for release next January, Hollow City will hopefully hold the same kind of unique and creepy thrills that made Miss Peregrine’s Home for Peculiar Children (2011) so wonderful to read. Miss Peregrine’s Home was most definitely the strangest book I’ve ever read; not only was the story incredibly unique, but the bizarre found photos peppered within lend it a feeling of magic. And not the shiny, bright, Glinda the Good Witch kind of magic. It’s hard to describe, but the whole time I read this book I remember feeling a sense of unease, like reading the words could make the story come true. I don’t often have such a visceral reaction to the fiction I read. Ransom Riggs is a talented author! So, if you haven’t read Miss Peregrine’s Home yet, I can’t recommend it highly enough. If for no other reason than I guarantee you’ve never read anything like it. 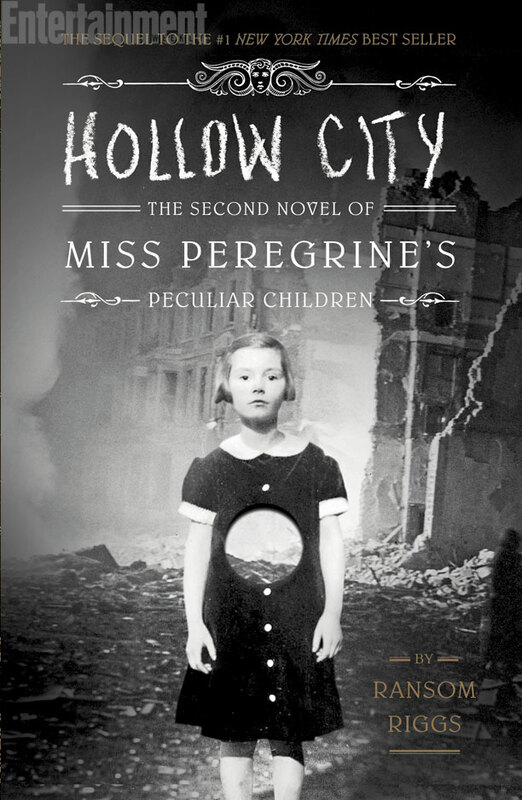 You can find a little more information about Hollow City from Entertainment Weekly [PS – thanks for the cover photo]. Ransom Riggs has a website, but it looks like he uses Tumblr and Twitter more, so check him out. I kind of love this guy!